Here's a cost-effective way to manage with those pesky outbreaks of head lice and their eggs (nits) without recourse to problematic chemical solutions for those with sensitive skin. M.R.S. 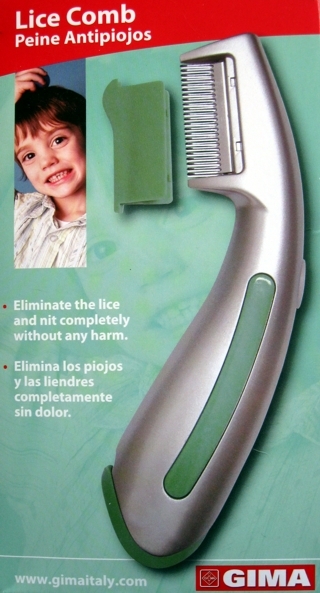 now offers an electro-mechanical solution that deals to the lice and nits effectively. The M.R.S. anti-head-lice wand allows you to zap the lice and nits by gently combing the hair of children and others with affected scalps. When the teeth of the comb encounter either a critter or egg it electrocutes them with a shaped electrical charge whilst providing audible feedback to the operator of each success. The LED indicator also flashes on contact. 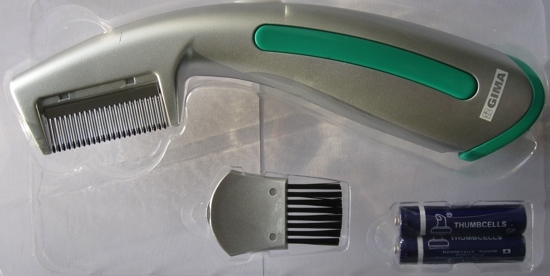 Each wand comes with a special brush to clean the comb tines after use. It is recommended to disinfect the metal parts after each treatment. 2 AAA batteries are also included. Zap the lice and nits!